Indyweek puts DCP in the headlines and celebrates two of Durham’s urban visionaries: Curt Eshelman and Allen Wilcox. Jane Jacobs was a community activist who defended neighborhoods in New York and Toronto against urban renewal beginning in the 1950s. Her influential book, The Death and Life of Great American Cities, described a vision for cities that are walkable and welcoming and work for people. However, critics accused her of promoting gentrification with her “unslumming” concept. She died in 2006, and a walking event took place in her memory in Toronto a year later. Want to host a Jane’s Walk in your area? There’s a saying among urban planners: You can’t really know a place until you walk it. On a recent afternoon, nearly 60 people gathered to do precisely that for Durham’s first Jane Walk, named after urban activist Jane Jacobs. Now the park thrives as kids play, teenagers skate, and farmers peddle organic produce twice a week. It’s here, under the park’s pavilion, where longtime locals and relative newcomers convene for the walk—among them architects, urban planners, city council members and others curious about where the neighborhood has been and where it’s headed. Our guides are Matt Gladdek, director of government affairs forDowntown Durham, Inc. and county commissioner Ellen Reckhow, who were independently inspired to start a local Jane’s Walk after reading Jeff Speck’s book, Walkable City. For the next two hours, the group meanders along a tour of Durham’s favorite touchstones, including Ellen Cassilly Architect, Cocoa Cinnamon, The Pit, Fullsteam, Organic Transit, and finally the Durham Central Park Co-Housing Community. Along the way, they pick up scraps of history and imagine how the area will look in the future. “The idea is that you want to create that same love of a place that you have, and show why it’s special to other people,” Gladdek says. Each stop includes a mini-lesson on what Jacobs thought made for a healthy community: mixed-use development, buildings of different ages, structures built to human scale, and buildings that mingle with the sidewalks (via porches, plazas, windows and balconies) to help people keep “eyes on the street” and promote safety. One of the first stops is the windowless structure marked 539 MUZE. Once a warehouse for printing military hat labels, the building will be torn down and replaced by a 100-unit condominium complex in the next year or so. We have a clear view of the construction site across the street, the old Liberty Warehouse spot, where ground is being cleared for a similar complex. “This particular street is going to feel very different once these two projects are done,” says Lisa Miller, a senior planner for the Durham City-County Planning Department. She forecasts that this stretch of Foster Street will eventually feel like an “outdoor room.” The buildings will be stepped down at the street level, and the sidewalks will be widened to cater to pedestrians. One walker, Peter Katz, tries to focus on the landscape in front of him, but his mind keeps drifting to the future. A statistical programmer in the Duke economics department, he and his wife moved to Durham from Los Angeles eight years ago. Today he’s brought his 2-and-a-half-year-old son, Lucas. He tries to imagine what the Jane’s Walk will look like when Lucas turns 5, and even later when he turns 25. How the city will adapt to massive growth seems to weigh on other minds, too. At the Liberty warehouse site, one woman asks who’s going to live in all the new units. 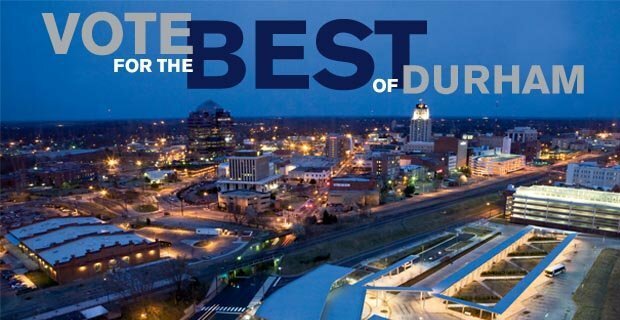 Gladdek answers that according to projections, close to 100,000 people will move to Durham over the next 20 years. “They’re coming to work at Duke, they’re coming for the tech jobs, and they want to live in an urban environment, not the suburbs,” he says. Each Friday, WRAL’s GoAskMom features a family-friendly destination. Today, they stop at Mt. Merrill, Durham Central Park’s new ADA accessible “play mound”. GoAskMom played a big role last year in spreading the word about DCP’s Kickstarter campaign that helped build the playground. For video footage click here. 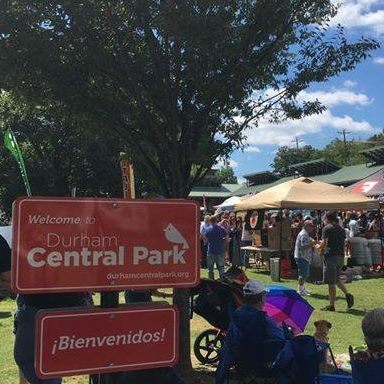 Durham Central Park already packs in the crowds with its regular farmers’ markets and popular food truck rodeos, which pull in thousands. 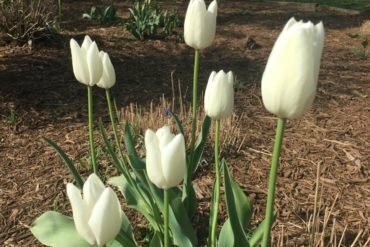 Now there’s even more to do on this five acre patch of green space in the midst of downtown Durham. As I wrote last year, the nonprofit that manages the park and the activities there opened Mount Merrill, a play mound that features slides and boulders for kids to scramble around and play. A few weeks ago on a very cold day, I checked in with the park’s Tess Mangum Ocana for a quick tour. Mount Merrill was built thanks to support from across the community. Donations came in – from simple $1 donations to $25,000 checks. An online fundraising campaign helped raise $25,000 toward the $200,000 goal. Park leaders celebrated its grand opening in December. The play space is named after Merrill Davis, whose family owns the neighborhood nursery and garden store, Stone Brothers & Byrd. Davis, who was one of the park’s biggest supporters, died in a car accident in 2012. His 2009 wedding was one of the first in the park’s pavilion. The play mound isn’t a traditional playground, really. It’s a mound with a path leading up to the top of the slides. Park goers can take the path or they can climb over boulders to get to the slides. There are two slides – a taller one and a shorter one. The wide path allows for wheelchairs to approach the top of either slide. The nonprofit is working to add tarps to shade the play mound and its metal slides from the sun. There’s also a climbing net for kids to try out. The mound sits next to The Leaf, a structure that serves as a meeting space, performance space or resting spot at the park … or a spot for kids to play a little hide and seek or tag. And the large cardinal and turtle, popular for climbing on, are just a few steps away. The mound is a great addition to a destination that already draws so many people. After shopping at the market or picking out your lunch or dinner at the food truck rodeo, families can stay a little bit longer while the kids climb and slide. Ocana envisions kids transitioning from playing on the cardinal and turtle to Mount Merrill to the park’s skate park, which sits right up the hill, as they grow. Ocana said there are long-term plans to make upgrades to the skate park, including building another set of bathrooms there. Bathrooms, which are open during park events, already exist at the park pavilion. If you go, you’ll find street parking along Foster, Hunt, Rigsbee, Roney and Corporation streets. Visitors also can park at the Durham Centre Deck at 300 Morgan St., which is two blocks away. The Durham Farmers’ Market takes place from 8 a.m. to noon, Saturdays, from April to November, and 10 a.m. to noon, Saturdays, from December to March. It’s also open on Wednesdays from 3:30 p.m. to 6:30 p.m. from May to September. Food truck rodeos are held five times a year. The next one is noon to 4 p.m., Sunday, March 8. Find Durham Central Park at 501 Foster St., downtown Durham. Maceo Parker will be the headliner for the Art of Cool music festival next spring. The Art of Cool Festival this week released the schedule of venues for local and guest artists who will perform at the inaugural festival April 25 and 26. 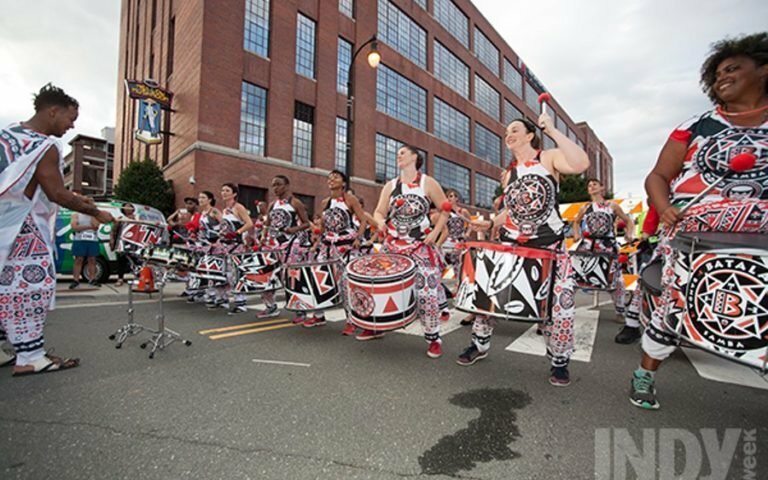 Twenty-two local and guest artists will perform at nine outdoor and indoor festival venues. The festival begins at 4 p.m. Aug. 25 with a free concert in Durham Central Park. Artists scheduled to perform during this free block are Raleigh-based Peter Lamb and the Wolves, the North Carolina Central University Jazz Combo, vocalist Yolanda Rabun, blues harmonica player Mel Melton & The Wicked Mojos, and the Kidznotes Jazz Ensemble. Durham is the place to be this weekend with the year’s first food truck rodeo, a Mardi Gras kickoff party and more! 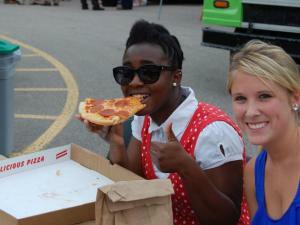 It is time for the first Durham Food Truck Rodeo of 2014. More than 40 trucks, including Chirba Chirba, Pie Pushers, Porchetta and Sarge’s, will be on hand at Durham Central Park from noon to 4 p.m. There will also be some local beer from Fullsteam and live music. Weather permitting, the lawn will be full of man-made snow for sledding. Bring a lawn chair and blanket and enjoy the afternoon. Durham is getting into the carnival spirit Saturday night with a Mardi Gras kickoff party at The Pinhook. There will be music from The Bulltown Strutters and fire dancers. The event is also an official launch party for the Durham Mardi Gras parade Indiegogo campaign. Each year this walking parade heads through downtown Durham on Fat Tuesday evening. The crowd-funding project money will be used for decorations, beads, city permits and music. The parade and block party are free to join. 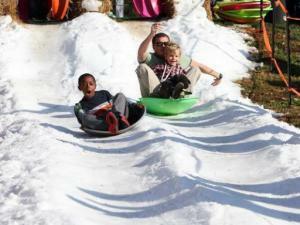 Durham Central Park announced this week that its Winter Food Truck Rodeo on Jan. 26 also will include a sledding hill. Durham parks and recreation will transform the Great Lawn, which is the open green space that climbs the hill between The Leaf and The Skate Park, into a winter wonderland with artificial snow for sledding, according to a press release. There will be a section at the bottom of the hill for younger kids to play, build snow forts and make snow angels. The rodeo, from noon to 4 p.m., Jan. 26, will gather 40 of the Triangle’s most popular food trucks under Durham Central Park’s Pavilion and along Foster Street. Among the trucks scheduled to attend: Dusty Donuts, American Meltdown, MaMa Dukes, Pie Pushers, Porchetta, Fosters, Chez Moi Bakery and OnlyBurger. Fullsteam Brewery will have beer and there will be some live music too. The Food Truck Rodeo is rain or shine. The snow and sledding will depend on the weather. Durham Central Park is at 501 Foster St. in Durham.